High Quality Content by WIKIPEDIA articles! 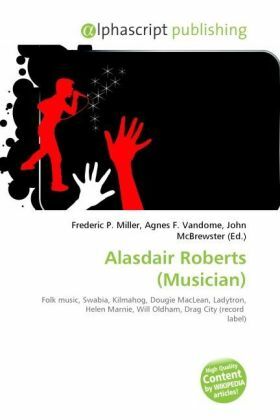 Alasdair Roberts is a Scottish folk musician. He released a number of albums under the name Appendix Out, and following the 2001 album The Night is Advancing, under his own name. Roberts was born in Swabia, Germany, the son of former folk guitarist (and partner of Dougie MacLean), Alan Roberts and his German wife Annegret, though he was raised in Kilmahog, a hamlet close to the small town of Callander, near Stirling in central Scotland. where he started playing the guitar and writing music.